The moment I was introduced to clamshells I was smitten. They lend themselves to so many fabric choices and patterns, who couldnt love their beautiful curves? If I'm honest what I didnt love was the way they had to be joined at the hip. It didn't seem necessary? I mean its not going to stop them from forming uneven rows. Trust me - if I'm going to sew something cockeyed, sewing it into a row isnt going to stop me. In fact I found my strip of clamshells more difficult to handle once they were joined together. They kept wanting to twist around as I was trying to line them up. And line them up with what exactly?? I could only guess at where my template sat hidden away under the previous row of clamshells. It was all a bit too hit and miss, and I reckon I was missing more often than hitting. Lets break it down into some EASY steps. 1. 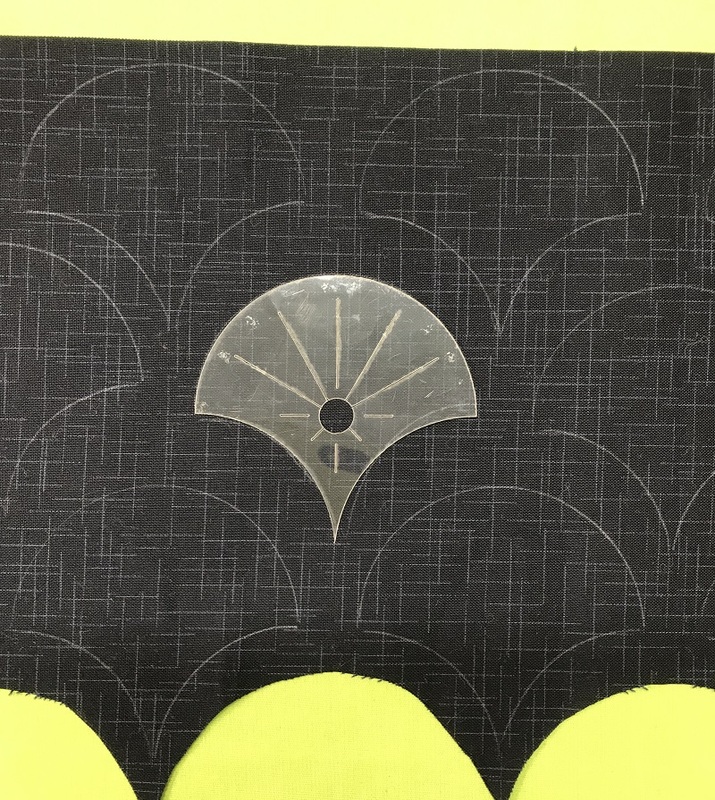 Using your Eppiflex clamshell template as a tracing tool, trace out all the clamshells you need for your project. Use a chalk pencil or similar marker that doesn't heat set, as you dont want to be left with a permanent mark when we iron them in the next step. Cut out your clamshell shapes, leaving a seam allowance around the edge. 3. 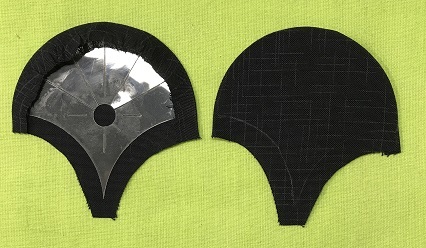 Now cut a "leader" strip the same size as your clamshell templates. A leader is a strip of fabric for the first row of clamshells to stick to. So if you have 3 inch clamshells then your leader will be 3" wide by the length of your project. 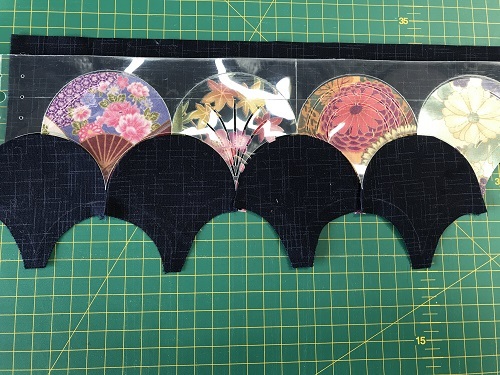 eg If you are making a cushion which is 5 clamshells wide, you'll need at least 15 inchs to accomodate the 5 x 3" clamshells and then another 1/4" to 1/2" each side for your joining seams. So your leader would measure 3" x 15 1/2", depending on the seam size you want at the side edges. 5. 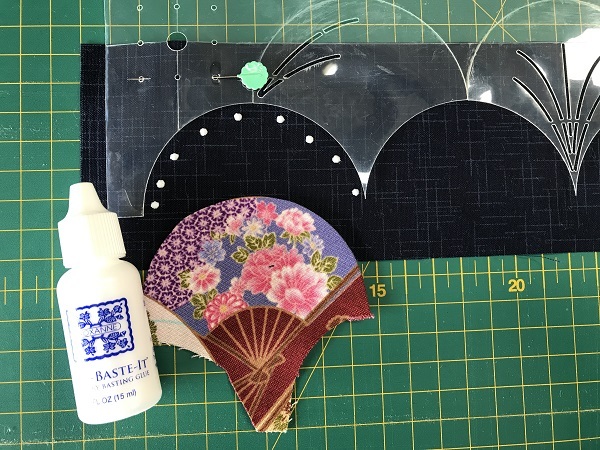 Using Roxanne's Glue or a similar fabric glue, dot glue around the arches where you are going to glue your first clamshell. Repeat this all the way along your first row. Give it a few minutes to dry, then flip it over and remove the templates. They are ready to use again. 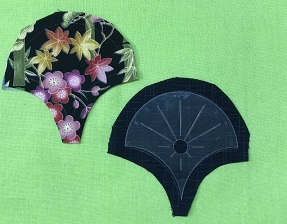 Sewing with a fine thread ( we prefer Wonderfil Invisifil), applique the clamshells in place, coming up at the edge of the clamshell, collecting just a small amount of fabric and taking your needle back down into the background fabric at the same spot you came up. 6. 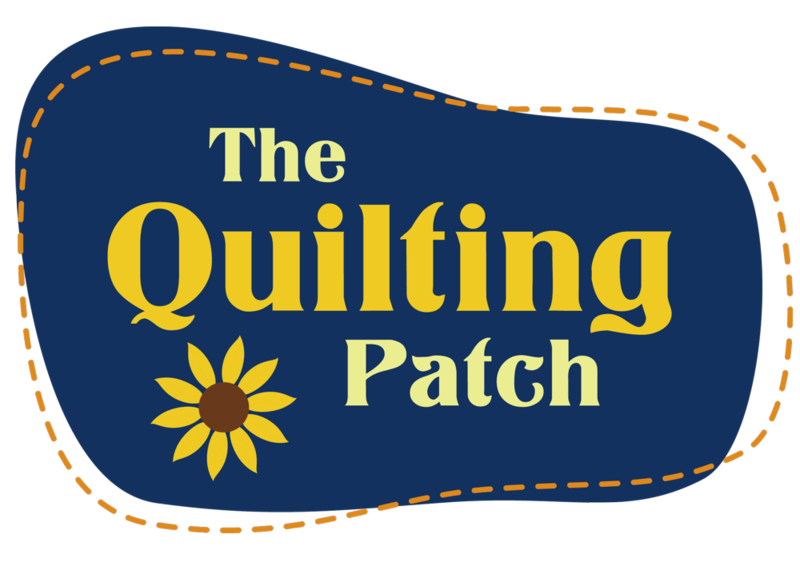 Once your row of clamshells in sewn down you are ready to use the guide again for row 2. 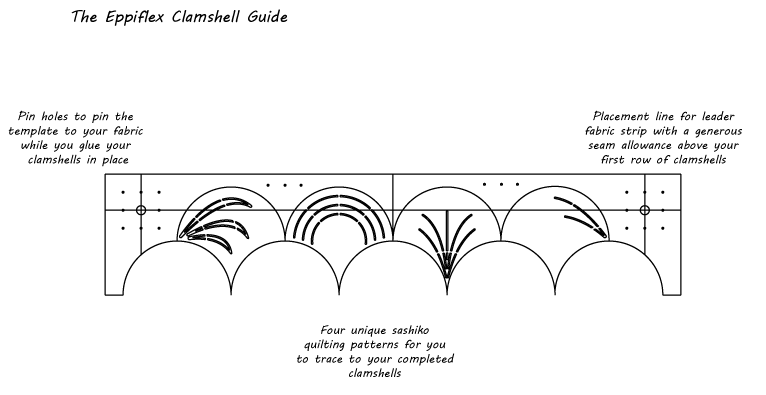 This time line up your sewn row of clamshells with the etched clamshells on the guide. You can pin the guide in place if needed. Note that your first and last clamshells in this and subsequent rows will overlap the edges, but half of them will be trimmed later to square off the piece. Once this row is glued in place, you can remove the templates and sew them as in step 5. Repeat this step until all of your rows are glued and sewn. Trim the sides and bottom edge to square up your piece. 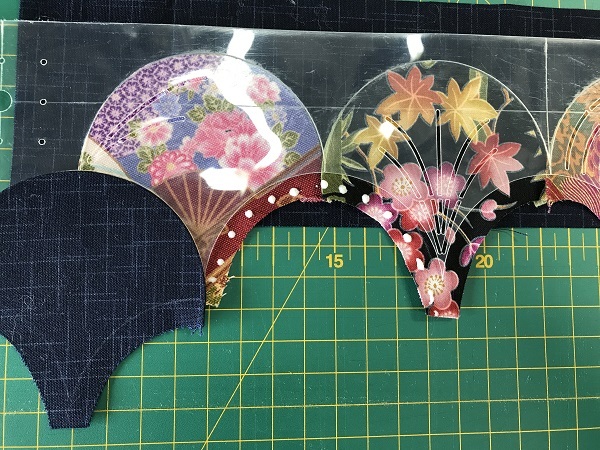 If you wish to transfer the quilting lines on to your clamshells, use a white marker ( we like White iron off pens) if you have dark fabric or a blue erasable pen or chalk pencil. 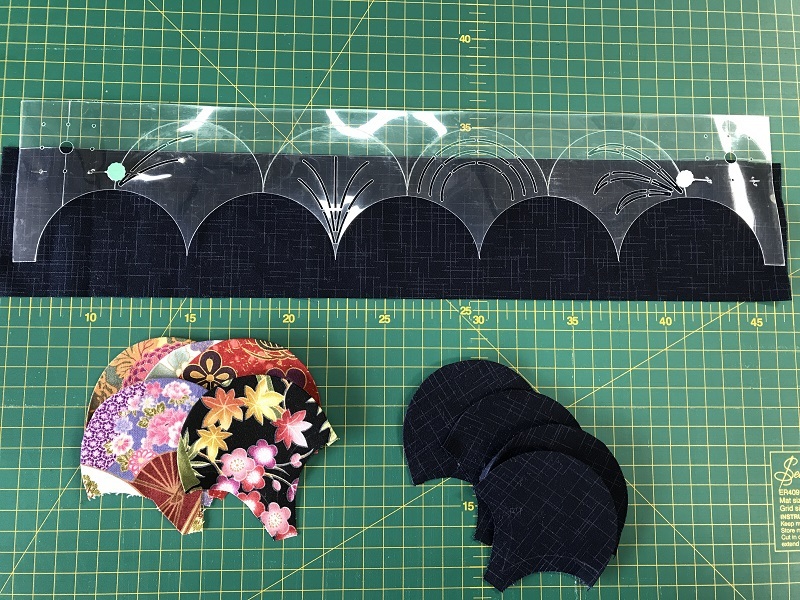 Place the clamshell guide back on to your completed clamshells and trace the patterns centring the clamshell shape over your fabric. 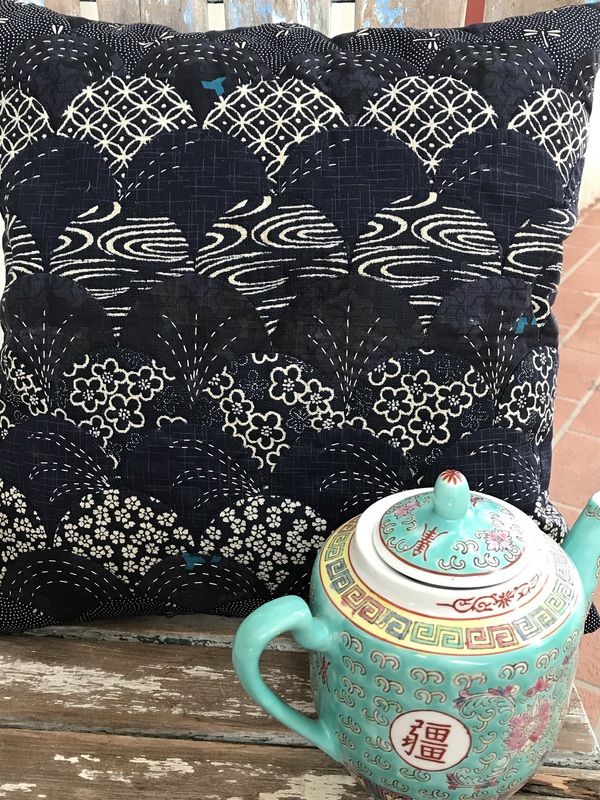 I have used sashiko thread to hand sew the quilting lines.